MyoCult™ media are specifically formulated to expand, maintain and differentiate primary human myoblasts. These specialized media are designed to provide researchers with standardized workflow and culture systems to minimize cell culture variability and increase experimental reproducibility. SUPERIOR PERFORMANCE. 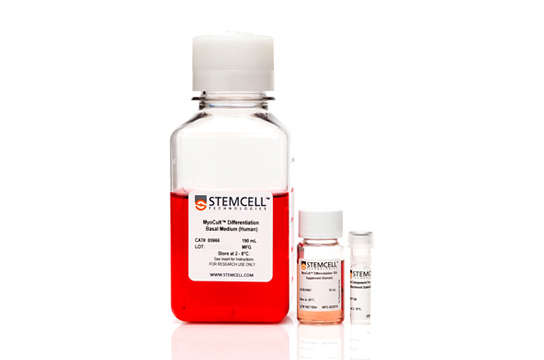 Optimized and specifically formulated media to support greater expansion and differentiation of myogenic progenitor cells compared to commercially available media. RELIABLE. Rigorous raw material screening and quality control minimize lot-to-lot variability to support optimal and consistent results. CONVENIENT. 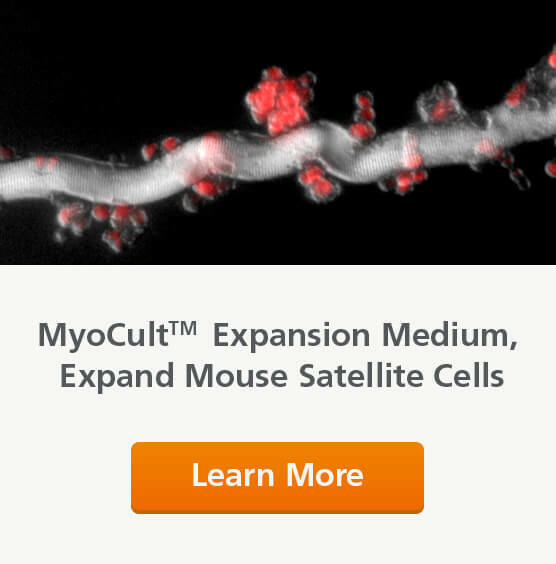 MyoCult™ media come in easy-to-use format to save time and streamline myogenic studies.